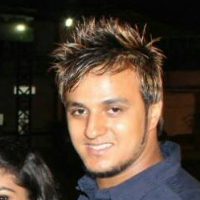 Shardul Sharma did B Com from Shyam Lal College. He worked at Iktara Films as a Marketing Head for some time. As he was an avid biker since childhood, he thought it was the right time to convert his passion to profession. He started participating in championships in 2012. He has won many races like Gulf Monsoon Rally 2013, Speed Sprint 2014, OYA Motor Cross 2016. He is leading at Indian National Rally Championship 2017. He is Rally Pilot at LBS Racing. Motorsport or motorsports is a global term used to encompass the group of competitive sporting events which primarily involve the use of motorised vehicles, whether for racing or non-racing competition. "I did B Com from Shyam Lal College and then worked at Iktara Films as a Marketing Head for some time. I thought of converting my passion to profession and started participating in Motor Racing Championships in 2012. I won many Championships like Gulf Monsoon Rally 2013, Speed Sprint 2014, OYA Motor Cross 2016. I am leading at Indian National Rally Championship 2017. I am a Rally Pilot at LBS Racing."